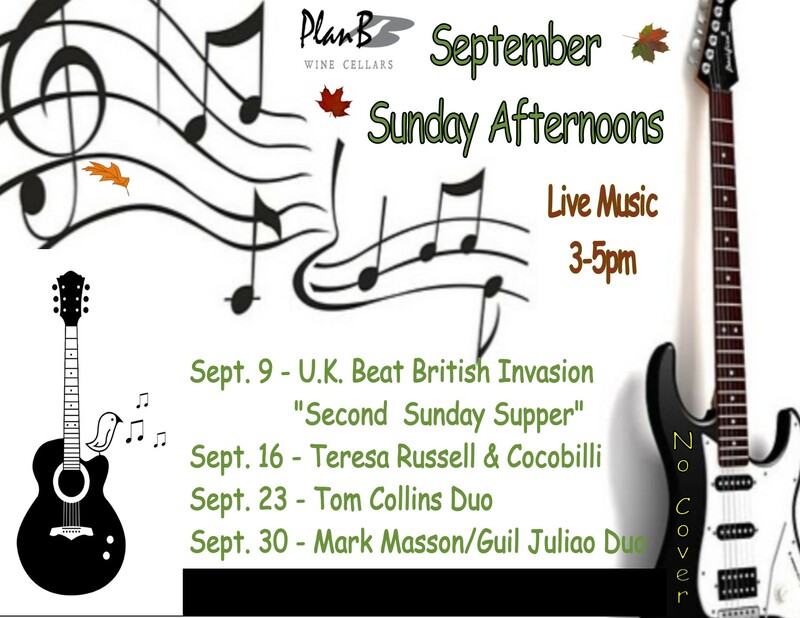 The month of September is filled with Music in the Winery. 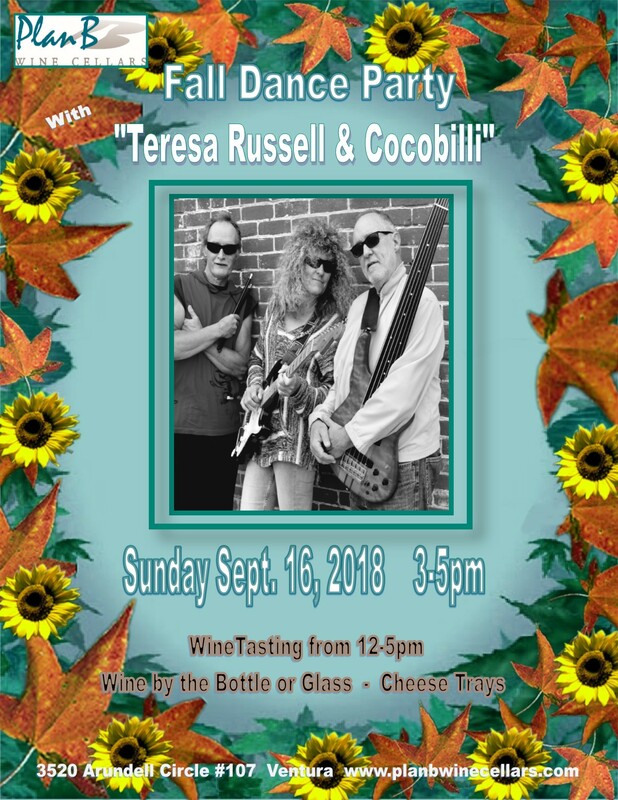 Mark your calendar and don’t miss our Fall Dance Party with Teresa Russell & Cocobilli. It will be a gorgeous Fall event from 3-5pm on our outside cover patio (ie. “The Stoneyard)!